Ryce is wearing Lazybum's Tuxedo Brief in black. The Tuxedo Brief is sold in a complete set and includes a Collar, texture-change Bow Ties, Cuffs, and a texture-change Boutonniere (not shown). The Tuxedo Brief has an optional bulge, optional strings, pans and underpants layers. The Tuxedo Brief set is a good buy at $250 Linden. A Fatpack of 6 colors is available for $800 Linden. 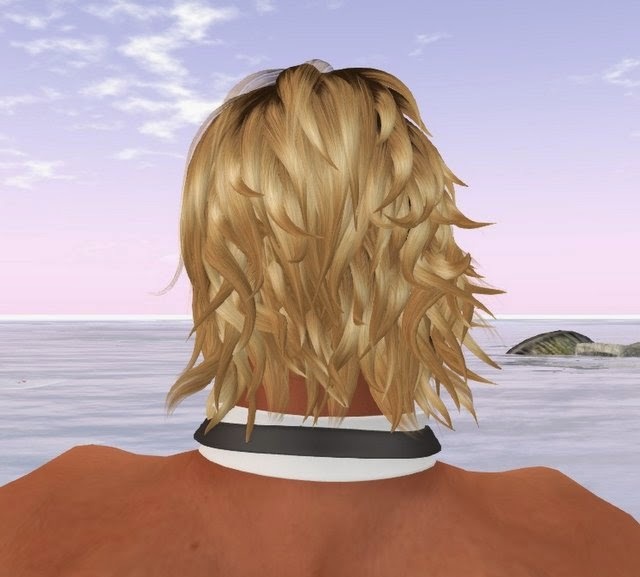 All photography was taken with Windlight Sky Setting Bree Appleblossom at Spurt Beach.